Drawing on decades of combined training and hands-on experience the knowledgeable and passionate team at New Ridge Roof Restoration are your go-to experts for all things roofing. Using the best materials and innovative solutions our team can complete outstanding roof restoration and repairs suited for Ringwood homes. 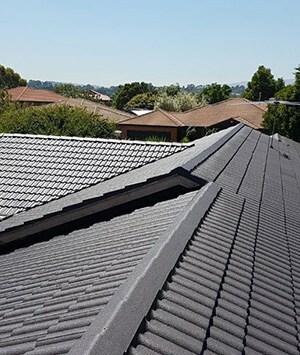 At New Ridge it is our ambition to deliver the perfect roofing service. 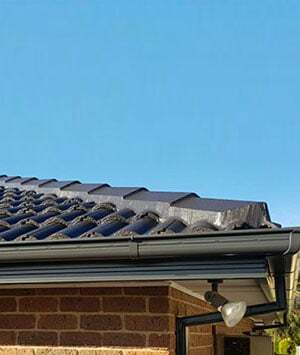 Offering a wide range of services covering all areas of the roof we can repair and replace damaged tiles, clean dirt and grime with high-pressure water jets, improve rusted guttering and downpipes, and a number of other targeted services to enhance the overall condition of the roof. One of the most visible elements of roof restoration, fading roof paint can detract from the overall quality of the roof as well as the home. 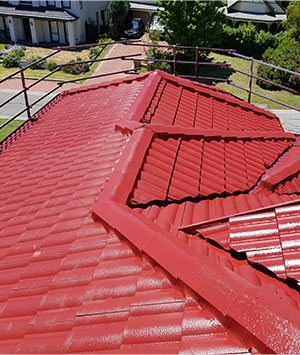 Committed to bringing out the best in our customer’s roofs the skilled professionals at New Ridge Roof Restoration can complete vibrant, colourful, and durable roof painting throughout Ringwood and the surrounding suburbs. To help protect your roof from UV radiation damage call us today on 0439 931 138.